Remodeling your existing master bath to obtain an often dreamed of larger shower doesn't always mean adding square footage to your existing bathroom. Whether your doing a tub to shower conversion, utilizing the existing uncomfortable tub and shower spaces together, or merely enlarging your existing shower you can reach a more comfortable feeling by changing your existing layout and utilizing your existing bathroom's square footage. Fine bathroom upgrades usually involve an efficiency of space usage plus getting rid of any unused or abused space like inefficient closets or wasted storage areas. 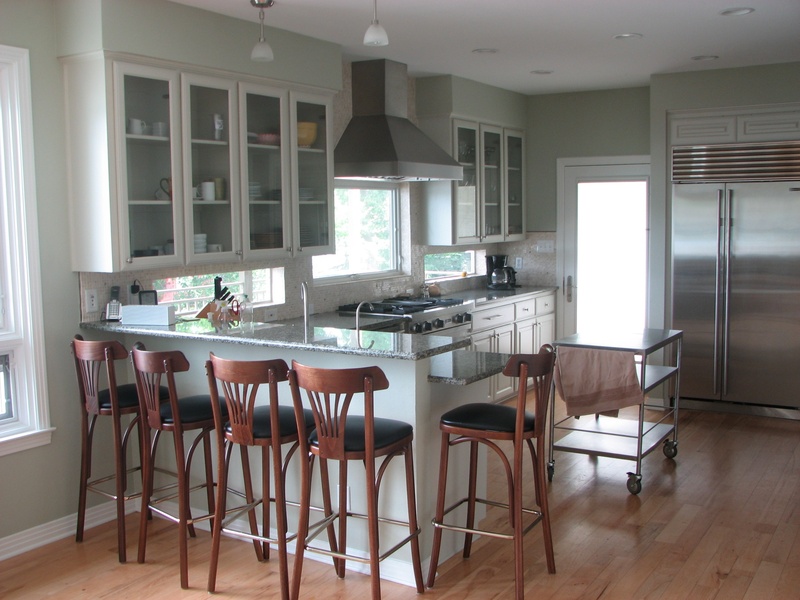 This situation can be addressed in the design of your future fine cabinetry. 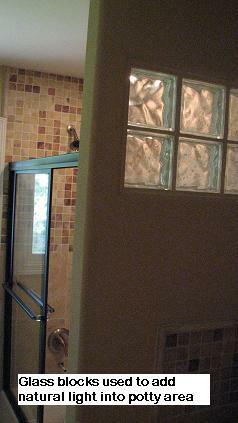 A tub to shower conversion for a custom walk in shower can provide easier access helping with mobility issues. There's no stepping over the side of the tub. The custom walk in shower in Austin, Texas access can be made into a raised threshold type used in a wheelchair roll in situation that solves accessible ADA issues or it can involve a small 4-6 inch step over a newly formed curb. Either way the access is located at the greatest distance from the wet wall and within the wall that is perpendicular to the wet wall. A hand held shower that is clip mounted on an adjustable vertical rod will be sufficient for almost all situations. A seat may be able to be installed within the perpendicular wall nearest the wet wall if at least a twelve inch offset is available. If you have the luxury of combining the tub and nearby shower areas into one large custom walk in shower design your problem will be taking full advantage of the larger spatial situation. A huge shower area is just that if it isn't efficient at using the new enlarged space. Remember that multiple heads like rain and body sprays require more water volume and this can only be accomplished by replumbing the water supply lines increasing their diameters from the 1/2" pipes commonly supplying baths. 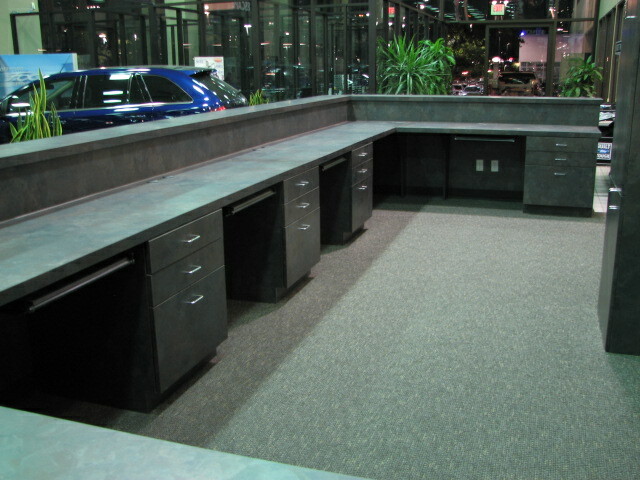 Seats can also be incorporated into the design process and must be no taller than eighteen inches high. Tiled niches recessed into the existing wall studs are a great place for shampoos and body washes. Corner shelves are a good idea if they are out of the way. Hooks and hangers for towels and wash cloths must be installed for efficiency and not be in the way of traffic or in a place to harm yourself once your eyes are closed fighting soap invasion. Glass block designs can be used as a means of obtaining natural light through shower demising walls with individual installations or as a complete splash wall dividing the wet area from the rest of the bathroom. This type of wall can be either straight or curved according to your preference. Redoing or enlarging your existing shower can also give you a feeling of comfort. You can incorporate any entance situation from walk in to roll in thresholds and you are only limited by space. You will still have the feeling of a satisfactory bathroom remodel once everything is clean and new even if your new shower is the same size you started with. Shower pans are a concern with fiberglass being superior to that of vinyl fabric. Fiberglass pans usually never fail and must be used in all second story bathroom upgrades. The fiberglass normally will stay together even if the house settles or the floors buckle. Any type of metal pan is obsolete and will almost always fail at the corners. A reputable cement impregnated tile backer board is preferable to any green or moisture resistant drywall products. Lighting issues should be addressed if the use of a solid shower demising wall makes it too dark within the new shower. This situation can be solved by installing a covered shower can light within the ceiling immediately above the bathing area. One other concern is humidity and this can be solved by installing a large enough vented outside ceiling exhaust fan just outside and above the shower entrance within the ceiling. Using glass enclosures is a choice with any design and installing an additional wet trap floor drain within the bathroom just beyond the shower entrance is always an option. T-Square Company is a local design/build General Contracting firm registered with the City of Austin, Texas. We have a competent team of in house craftsmen for your structural job aspects. They are complemented by a force of long time affiliated subcontractors holding a masters license with the State of Texas. This adds to the effort to accomplish our turn key new and remodel residential and commercial projects in the areas of plumbing, electrical, HVAC, fire sprinklers, and yard irrigation. Since working together for over ten years we are able to work through problems that arise on every job and provide our clients with a more cost effective outcome. We always incorporate energy efficient construction techniques in both our new and building upgrades. Our remodels and tasteful additions always blend with and accent the original structure. 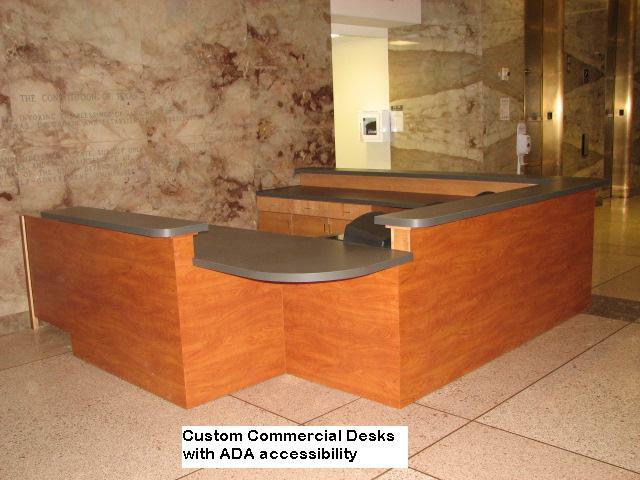 We are accessibility experts holding nationally accredited CAPS and Universal Design (UD) certificates to assist in removing any architectural barriers limiting mobility within the home. 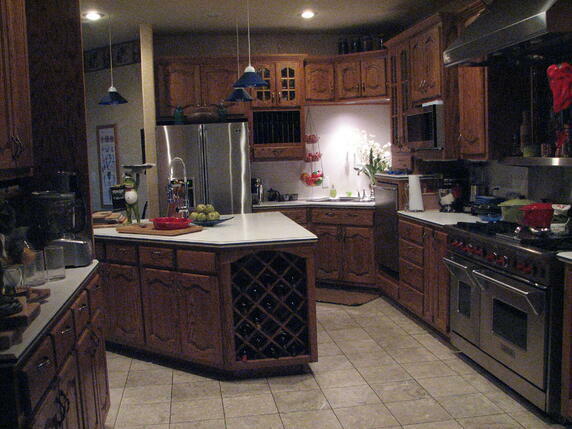 We offer complete home modifications for independent living in Austin. Let us show you how to adapt your home to fit your ever changing needs. Perhaps an expansion to a defined living space would solve a changing living situation. How can this be accomplished without altering your home's basic footprint? How can you go about this without a costly addition? Maybe it's time to look under the hood, so to speak, for a solution that is right under your existing homes roof line. Structurally you may need to add headers or beams or just maybe a few additional purlin braces can be added to carry the new roof load. If headroom is a problem a dormer addition changing the existing roof line can be constructed. You can cover this new dormer area with either a shed or gable type roof which will be dictated by the elevation of your home so that it blends and matches. By all means, if you don't know if what you're about to do is structurally sound in judgement and support don't be afraid to ask a professional. Our residential customers in Austin, Texas can benefit from our enormous construction experience and national accreditations enabling us to offer our many services. Green building is all about using fewer natural resources and less energy while making buying decisions that are better for our health and the planet. You should now consider restoring rather than replacing your kitchen cabinetry because green kitchen cabinets are your old kitchen cabinets. This is one of our options since green doesn't always mean buying new stuff. Another way to look at the big picture is the idea of becomming greener through reusing and restoring what we already have. Restoring your existing cabinets during a kitchen remodel causes fewer environmental problems rather than buying new no matter what new environmentally friendly materials you've chosen to construct your new cabinets. There will be less to haul away to the landfill from a total tear out and fewer raw materials to mine and harvest. 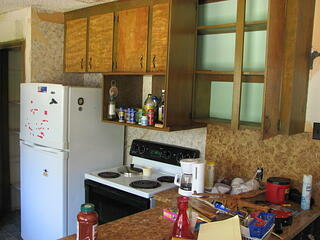 The best part of this scenario is that refurbishing your existing cabinets is and should be cheaper than replacement. Be advised that it is fruitless trying to salvage cabinets with structural problems or those that are poorly constructed using cheap materials. Your "new to you" fine kitchen cabinetry can be accomplished by either a simple paint job or refacing your old kitchen cabinets for staining. The cheapest solution is repainting with a low VOC paint and this task can additionally be accomplished by the owner. This will more than likely give you some new kitchen remodel ideas. 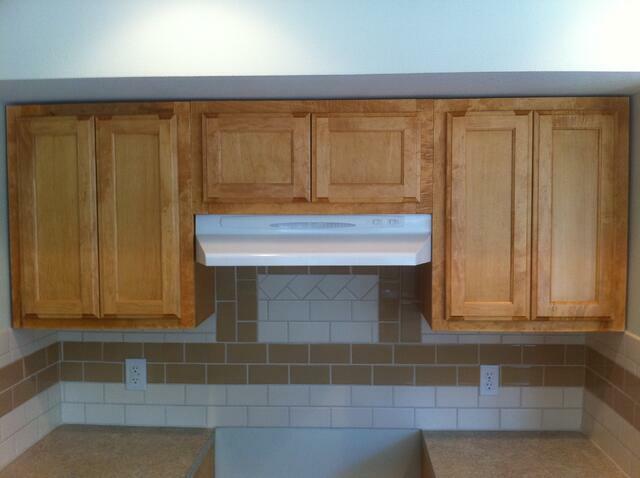 The painted cabinets can be kicked up a notch by replacing the hardware that was stripped prior to painting. 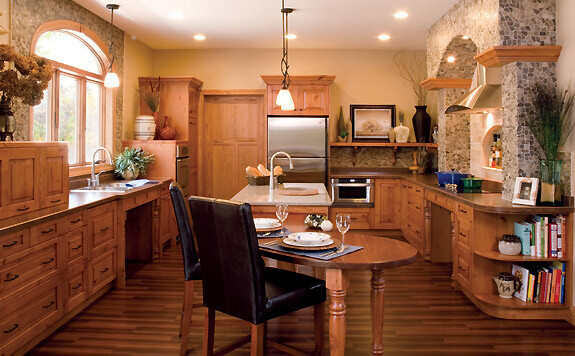 Refacing the cabinets with either veneer or 1/4" plywood will give you that natural look and uses fewer natural resources than buying new ones. This will totally revive the cabinet carcass boxes. You can further push the beauty meter by installing new doors and drawer fronts of a matching wood species. Installing the new pulls and hinges will give the appearance that the old cabinets were totally replaced. Whether you paint or resurface the old existing cabinets the installation of new countertops will enhance your kitchen upgrade and improve both the look and functionality of your "new" greener workspace. Now that you've worked so diligently to attain the most efficient envelope for your building it's time to consider the finer points and a few energy minded construction techniques. 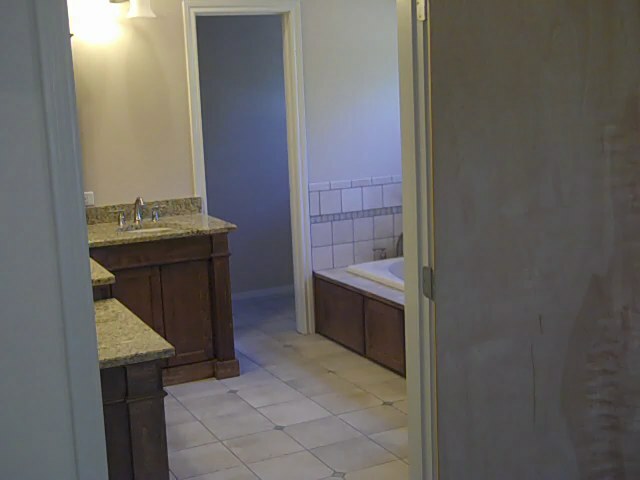 This is why home remodeling Austin, Texas is a unique problem and furthermore why professional residential remodelers exist. From here on out you will be dealing with the penetrations going through your envelope perimeter that are deducting from all your efforts. These areas include not only the electrical boxes, wires, pipes, and registers that are coming through your walls, floor, and ceilings,but in particular the doors and windows that connect us to the outside. Austin house remodeling criteria demand that any penetrations concerning your utilities must be dealt with using expanding foams, caulks, or gaskets that limit infiltration into your envelope. You can use clear paintable caulks in conjunction with all your interior trim eliminating small leaks that add up to large problems. You can also caulk your A/C buckets to the ceiling before replacing the grilles. 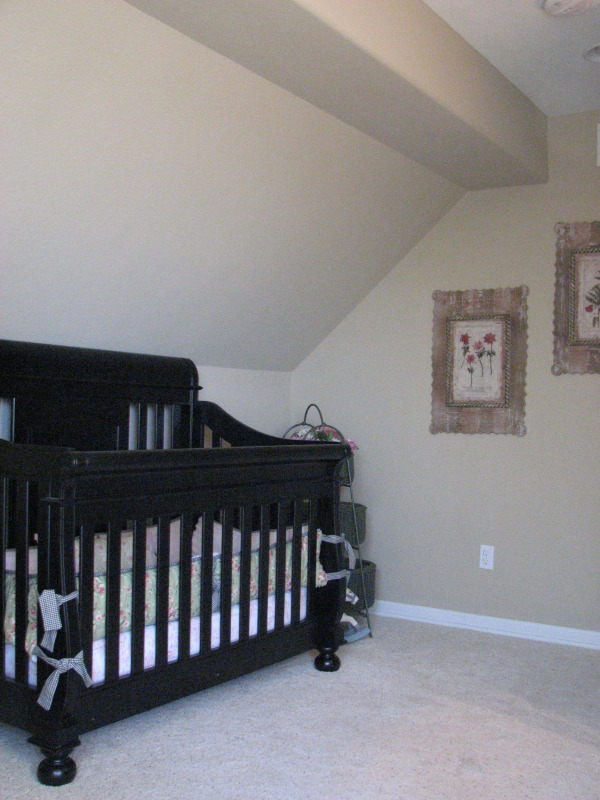 Use insulation dams above attic stair units and weatherstrip the pull down door to the ceiling. Repeat this procedure at any additional attic skuttles within your building. 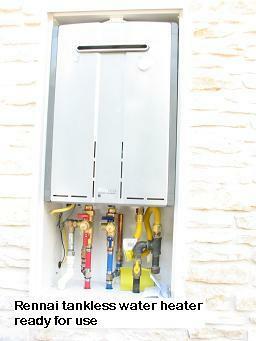 Your return air closet can also be a conditioned air thief. Caulk all inside corners of the closet and seal your air handler to the platform it rests upon. Weatherstrip the closet door. If you have a gas furnace you can either remove the closet ceiling or install combustion air pipes that connect the closet to the unconditioned attic above. Now to attack the most wasteful of all the efficient envelope penetrators that connect us to the great outdoors-your windows. They make up a great percentage of surface area in your now upgraded and insulated exterior walls. You must access whether or not to replace the original leaky windows and what value they add while preserving the look of your exterior. If you choose to keep them, either efficient storm windows or insulating shutters may be installed on the interior. If, on the other hand, you favor replacing them always remember a good rule of thumb. A single pane of glass only offers an R-1 resistance to the outside. You are basically dealing with aesthetics so don't be taken in by all the bell and whistle talk. The main specification to consider is the E-factor concerning how well light is transmitted into the building helping with direct gain problems during the summer months. All solid exterior doors offer insulating qualities through their makeup and must be weatherstripped. If your doors contain glass inserts treat them as windows installing insulating shutters on the interior or a storm door on the exterior. Any penetrations through the conditioned envelope reduces it's total efficiency. Now that you've taken care of the energy being wasted "through the roof" how about those walls and what energy minded construction techniques can be utilized? What type of construction makes up your walls and what are the best ways to go about eliminating some of the waste caused by air infiltration? Let's define what home remodeling Austin, Texas means. Any remodeling contractor will tell you that Very old buildings have wall construction which is limited only by the materials that were available at the building sight for any specific time. These structures were normally composed of sod, masonry, or logs that were chinked with mud set into their joints relying on the principle of thermal mass. By building thicker walls the same logic of the R-factor was used. It took longer for outside temperatures to transfer into the building through these massive resistant walls into the living space. Once lumber became available it was used at a premium. The presence of clapboard or weather board construction came about using one by (one inch thick) boards in varying widths on both sides of a 2x4 stud forming the outside walls. The joints between the boards allowed air to infiltrate the building. Batten boards were nailed over these joints on the exterior to eliminate some of the air flow and later cheesecloth covered by wallpaper was applied on the inside boards. The walls still had too much air infiltration relying on the dead air space and the composition of the wood itself to comprise the R-factor. Finally 1/4" sheetrock was applied over the wallpaper as a first generation drywall application. If this clapboard system is plaguing your building you must access which side of the wall you need to attack. Do you need new exterior siding that allows you to install and bury additional rigid insulation or desire a newer looking drywall finish on the interior? The only way to gain access to your stud space for applying batt insulation is to remove one side of the clap boards. The kraft face must be turned toward your living space to create a vapor barrier against the outside and R-13 is the thickest product you can place in a four inch cavity. Don't be misled by an offer using a blown in product that can be held up by wiring and never reach the bottom of the wall cavity which defeats the whole process. Once you have accomplished this task you have helped to maintain your envelope but you need to look down. If your floor is on a pier and beam structure do you have an underpinning present? It's purpose is to stop the wind from robbing you of additional infiltration from below your floor. If present, the underpinning can eliminate having to install insulation between your floor joist. It acts by literally raising the constant temperatures that existing naturally below ground. This natural occurence will temper the crawl space beneath your floor joists and prevent energy robbing infiltration. You now have a reasonably efficient envelope given your existing situation. So you have recently purchased or already own a building with character but feel like it's wasting your hard earned money causing high energy bills. What are some of the best and most cost energy minded construction techniques in Austin, Texas you can use to help lower those "through the roof" expenses? You need to understand primarily that your ceiling is the only common denominator between your costly conditioned living space and the root of your problem---the attic. The greatest retrofit solution concerning home remodeling Austin, Texas is the resistance factor (R-factor) you can add above your ceiling in the form of insulation to slow down temperature exchanges and the amount is determined only by the space that you have. If you own a building without any insulation then insulating the ceiling above the walls and floor causes the most radical changes in the way the structure responds to temperature differentials. Lay in Kraft faced batts with the paper next to your ceiling to create a vapor barrier. If your attic has old preexisting insulation add more on top of this in the form of unfaced batts running perpendicular to your ceiling joists or apply the blown in type. Remember that insulation works best when there is air surrounding each of the fibers or filaments comprising it's makeup that forms the resistance. Settled and stomped down areas defeat the purpose by transferring temperature easier between the fibers themselves that are touching one another. Think of your attic as a heat producing battery that pushes the summer heat down through your ceiling into the conditioned space. The air expands as the temperature increases and once the attic ventillation is overcome by sheer volume it continues to hold that increasingly heated air only to transfer the heat directly through your ceiling causing your A/C to cycle more often. Conversely in the winter the cold intrinsic attic air takes advantage of the principle of heat rising and becomes a collecting sponge for your expensive heated air. The presence of adequate insulation fixes both situations because the greater the R-value the better the fix.